If you enjoy seriously good coffee it makes sense to invest in seriously good coffee-making equipment. That’s why we’ve joined up with Sage by Heston Blumenthal so that you can make the best brew every time. 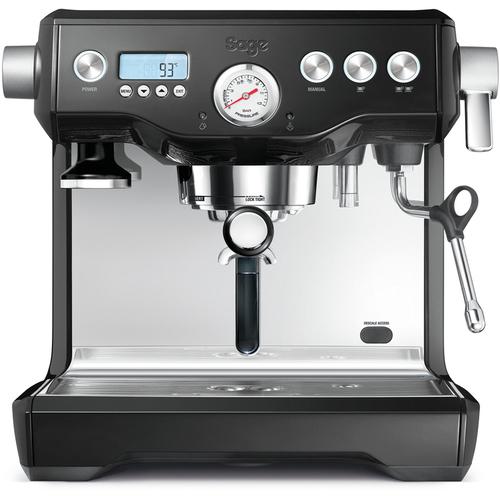 With this exclusive offer, when you buy the Sage Dual Boiler™ Espresso Coffee Machine you get £100 to spend on Pact Coffee. The Dual Boiler™ is the perfect choice for coffee-lovers who like to control every step of the espresso-making process. It allows you to extract espresso while texturing your milk, so you’re able to capture the delicate aromatics of the espresso and have your milk ready at exactly the right moment. Check out this Dual Boiler™ video from Sage to see the machine in use. Your machine will be delivered in 5 working days (or less). Once it arrives, contact Sage on 0844 334 5110 and they will arrange for a specially trained coffee engineer to set up the Dual Boiler™. They’ll also answer any questions so you can be confident using the Dual Boiler™ to create your own coffee masterpieces. So, a ridiculously good machine deserves ridiculously good coffee. Cue £100 of Pact Coffee credit. We scour the world for hidden coffee gems and trade directly with farmers to give everyone a better deal. All Pact coffee - including our game-changing Espresso Blend - is sent out in letterbox-friendly packages within seven days of roasting, because that’s when coffee tastes best. The Dual Boiler™ is also available in silver.